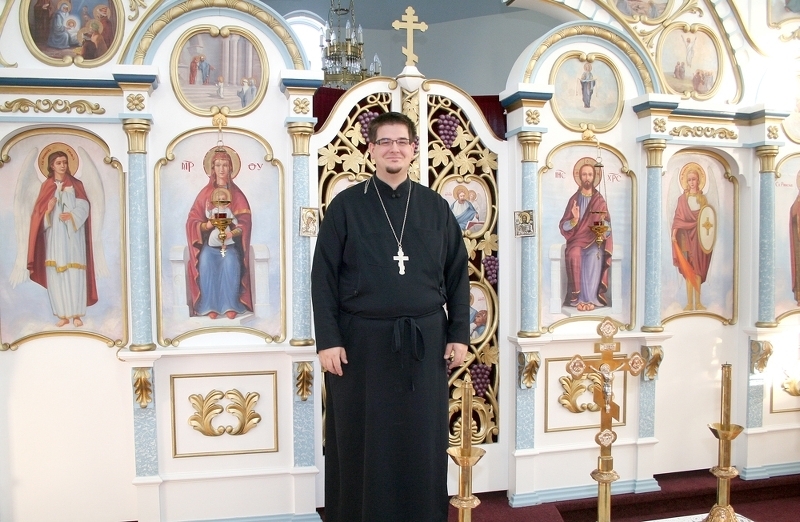 The new district priest for the Ukranian Orthdox Parochial District of St. Paul - Bonnyville is Reverend Father Peter Haugen. He moved to the area in early September. “I’ve been here about a month and a half, and from what I’ve seen taking part in parade and rodeo week events in September, there’s an interesting sense of community and fellowship in this town that I’m not used to seeing,” says Haugen. Haugen says one of the first experiences that stood out for him in the area was near Lac Sante, where he’d been living, before moving into town. He says he looks forward to the unique challenges and benefits that being a district priest for a rural area will entail. Haugen says one of his biggest objectives is to work with the six parishes in the area he looks after, to bring the entire district together with a sense of fellowship. Other important objectives to Haugen include working with the youth and getting more programs for youth running in the area, as well as working with seniors through local programs with care homes in the area. Another important thing to Haugen is establishing a spiritual presence for the Ukrainian Orthodox Church in the area. Other activities Haugen plans to work with in the community include the Great Lent food drive, and Baskets for the Sick, fundraisers that give back to the community.